Allow me to lay out a scenario for you: you’ve just arrived at your office desk, coffee in hand, and you’re ready to go about today’s work for your business. Your email inbox has a few orders for your most popular product, LinkedIn has sent a notification saying someone you don’t know wants to add you to their network, and other odds and ends. In the corner of your inbox, you see a message saying that your website has been upgraded to WordPress 5.0, the latest major release available. “Awesome,” you think as you delete the no-longer-necessary message. You appreciate knowing that your site is current and as safe as can be. You log into your site, ready to go about your content work for the day, clicking to edit a page that showcases your latest offerings which arrived that morning, when you notice that everything is different. “That’s odd,” you say to no one in particular. The differences cause you to back out of that page edit for the moment. Instead, you decide to go start a blog post about some exciting news you have coming in the following weeks. You navigate to the posts list and click the ever familiar “Add New” button at the top. Just like a moment ago, you’re back on this strange, new screen. “What is going on! ?” you exclaim, startling the dog chewing on a bone beneath your desk. It’s at this point that you go read the newest changes on your site’s “About” page for WordPress, and you realize that Steve Guttenberg has taken over your install. Look at him smiling, trying to persuade you to go get some donuts and talk WordPress with him. I’d go, and I’m not even an employee of yours. Okay, perhaps it’s not Steve here doing anything with your website, but we’re actually still not that far off. The editor and new publishing experience that you’re seeing is code-named “Gutenberg,” after Johannes Gutenberg, who invented the printing press in the fifteenth century. What is this “Gutenberg” really? Now that Gutenberg has been formally merged into WordPress core, it can now simply be called things like “the editor experience” or perhaps more “the new editor experience.” It is a re-visioning of how we create content with WordPress as a way forward into the future. Gutenberg works on a concept known as blocks. There are many different types of blocks available right out of the door, with plugins and themes able to make their own to further extend users’ experiences. You can read more about various aspects of Gutenberg on the blog of our parent company WebDevStudios. One thing that this editor experience is NOT, is a replacement for existing page builder plugins. It is also not going to affect every single thing. Out of the box, Gutenberg will only be altering the editing experience for just your posts and pages areas. How will this new experience affect my site? This will depend on what sort of customizations or setups you have for your site. If your site is using something like Advanced Custom Fields or CMB2 to create easy to use spots to edit and update specific pieces of content, chances are you will be fine overall. The UI around the spots maybe updated, but the overall usability should be retained. If you are utilizing a page builder like BeaverBuilder or similar, you are likely going to be able to choose which experience to use every time you go to edit. 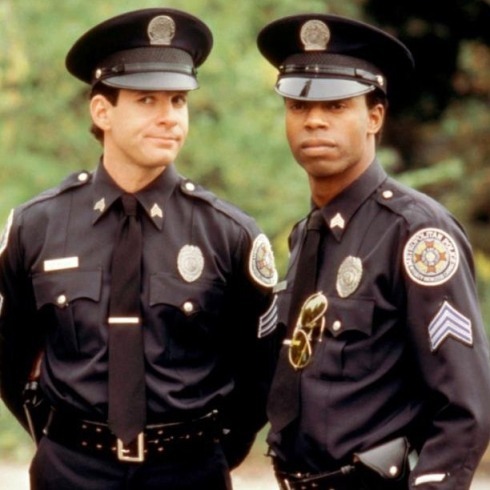 Our support engineers at Maintainn, with some help from Steve Guttenberg, are here to serve and protect you. If you are wanting the previous editor experience back, we can help install a plugin named “Classic Editor” which will restore the ability to use what you are accustomed to with previous versions of WordPress. We must stress though, that this is not a long term permanent solution because this editor restoration is not going to be supported forever. However, it will allow you to continue managing your website efficiently, while also letting you play around with the new editor in moments of down time. It can also give ample time to readjust major customizations, if present, for the current site as well. Anything else that Maintainn and Steve can help with? Yes there is, through Maintainn’s Support Hours program. If you’re not quite updated to WordPress 5.0, and or know things with your site need tested first, we would be happy to scope out and provide estimates for time to set up a staging or development clone of the website. This would allow everyone involved to test and confirm no critical functionality will be broken by the update, and time to fix if something does happen, all while leaving your live site alone. We can also provide some learning resources and training for working with the new editor to help make the transition a little bit easier and iron out the wrinkles in adjusting to everything. At the end of the day, we want to help make the transition as painless as possible for yourself, your business, and your business’ website as we move forward into the future with WordPress. With that said, I see Steve brought donuts! Lets go join him.